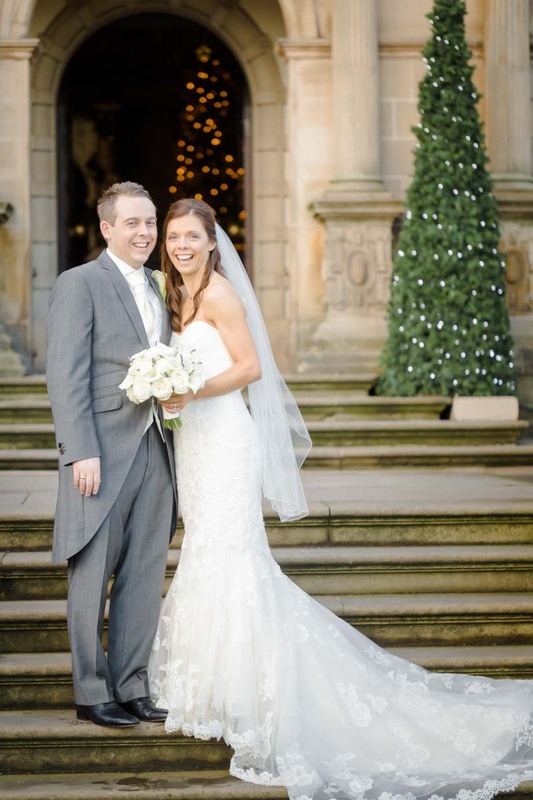 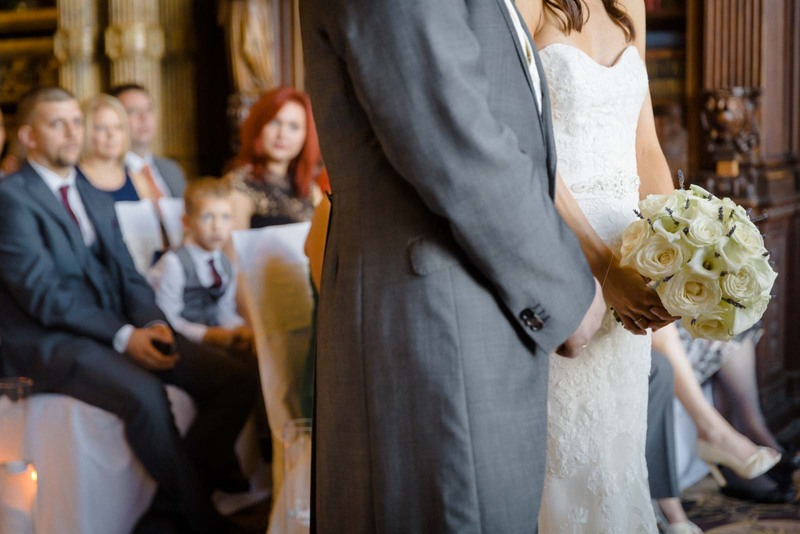 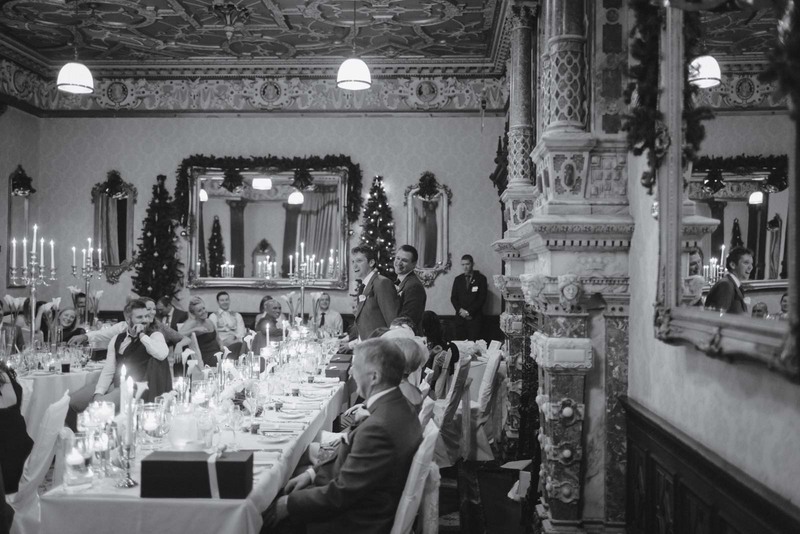 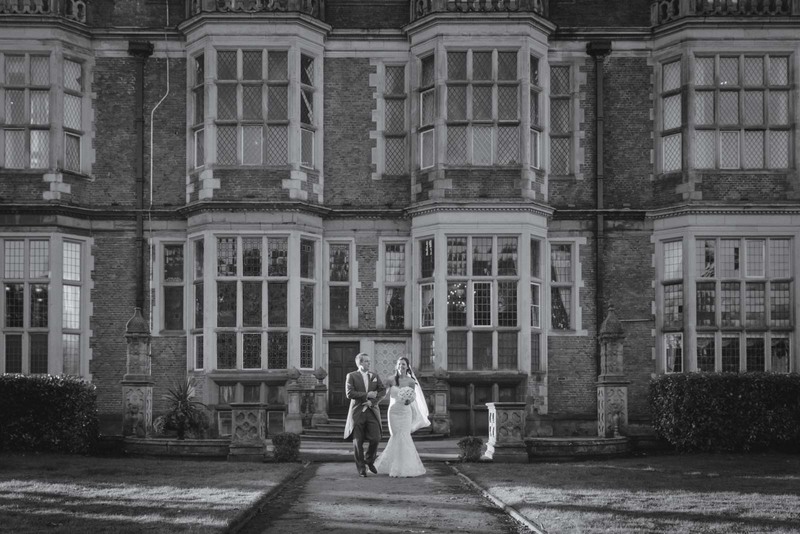 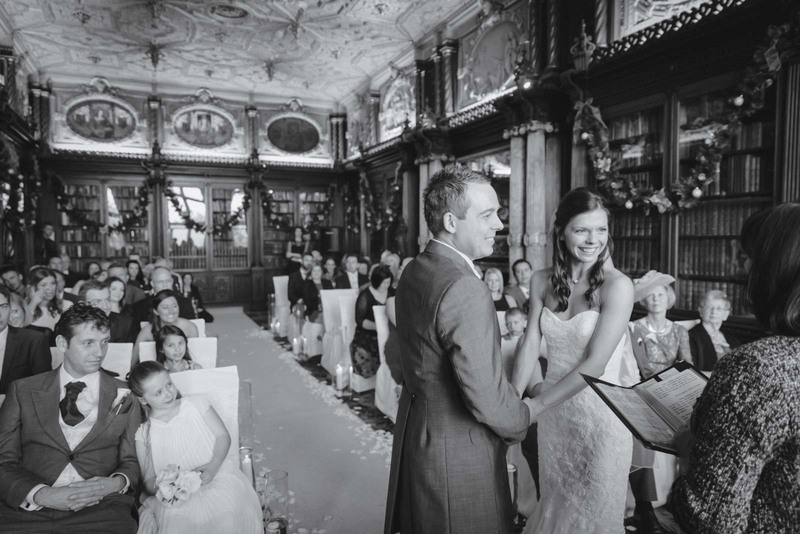 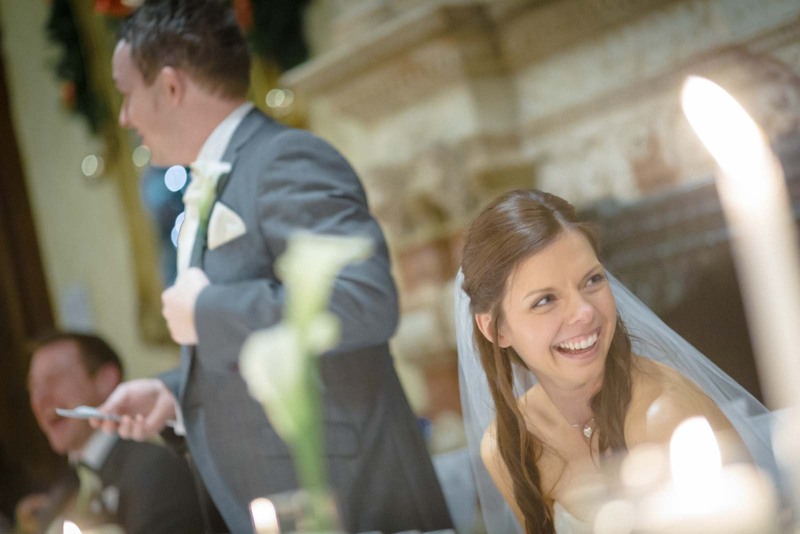 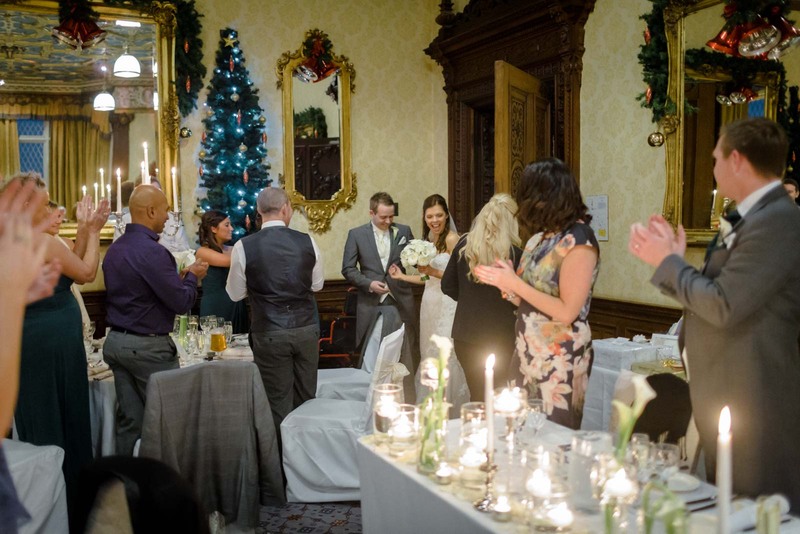 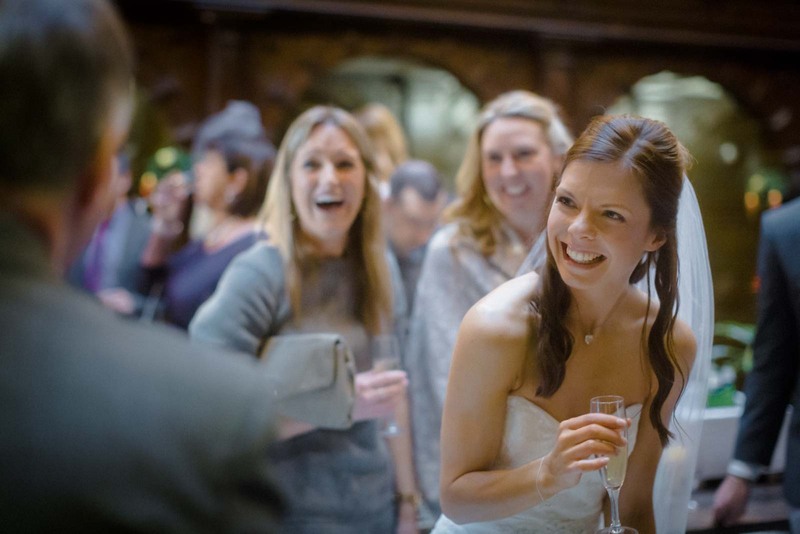 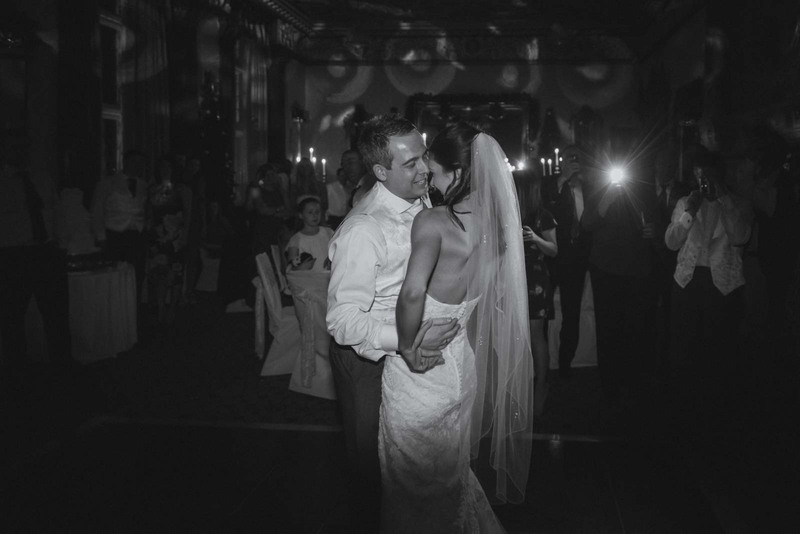 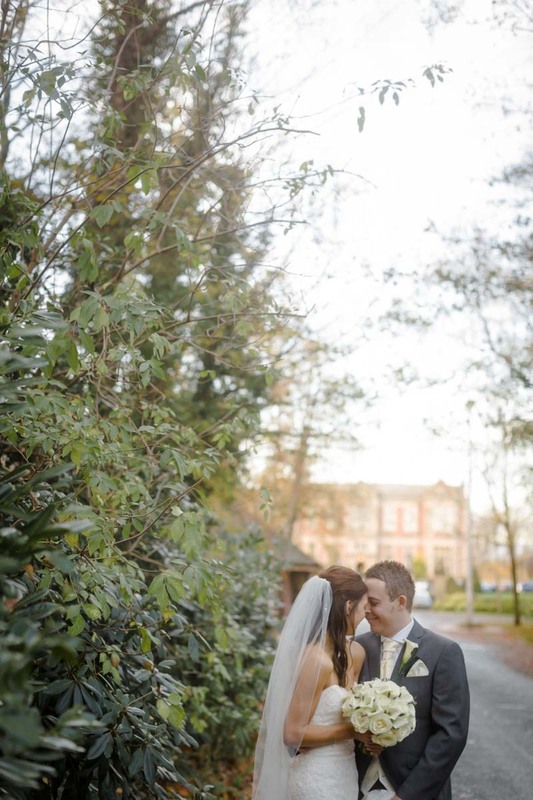 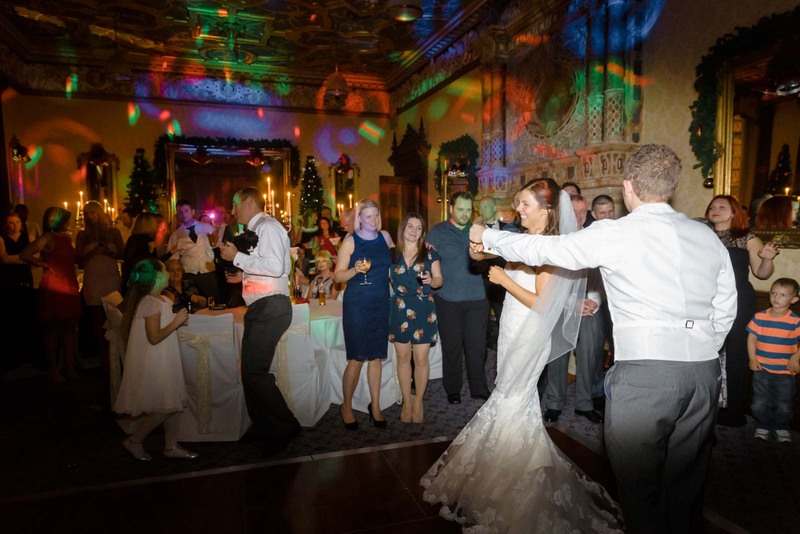 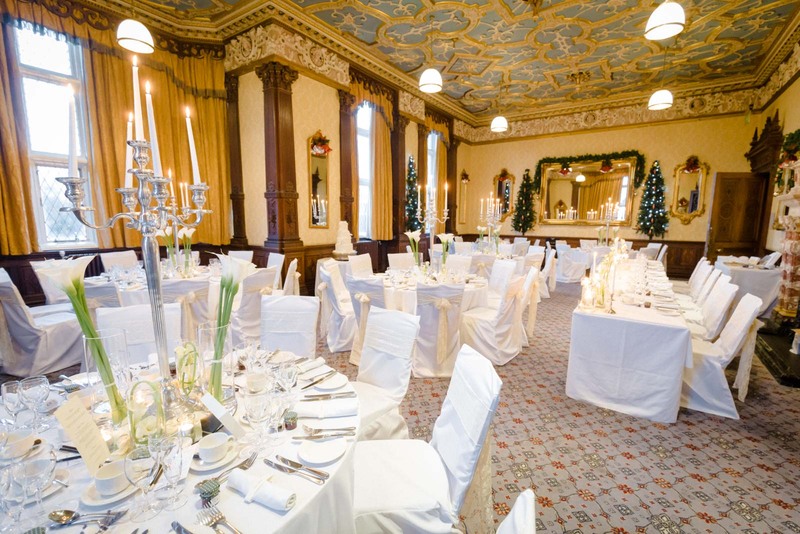 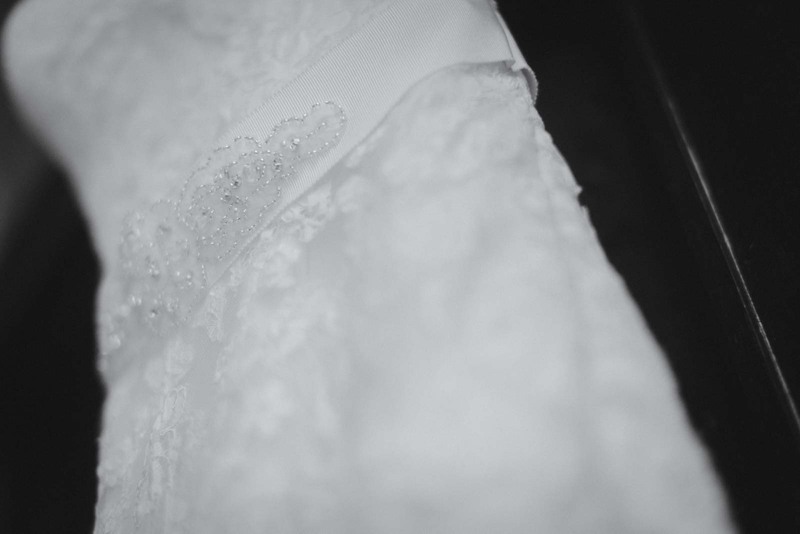 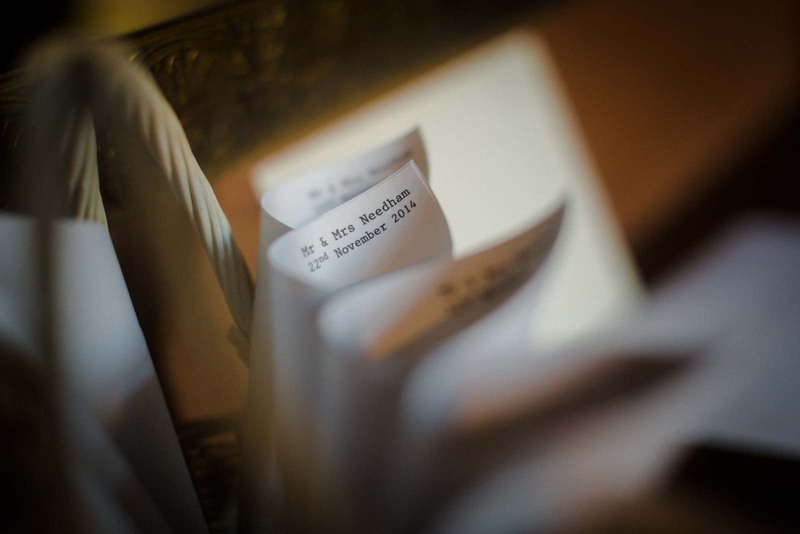 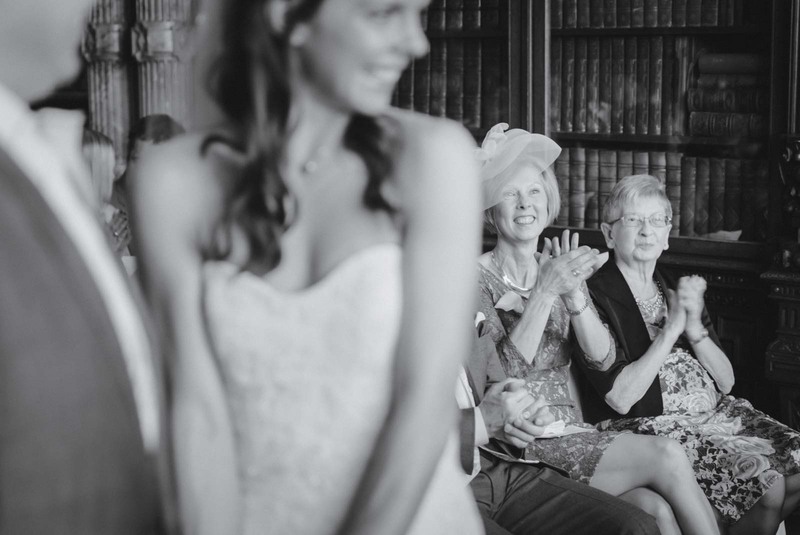 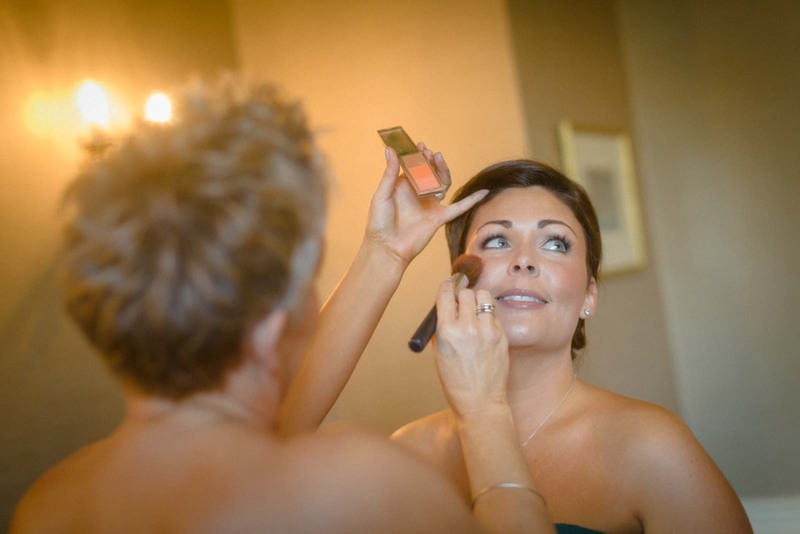 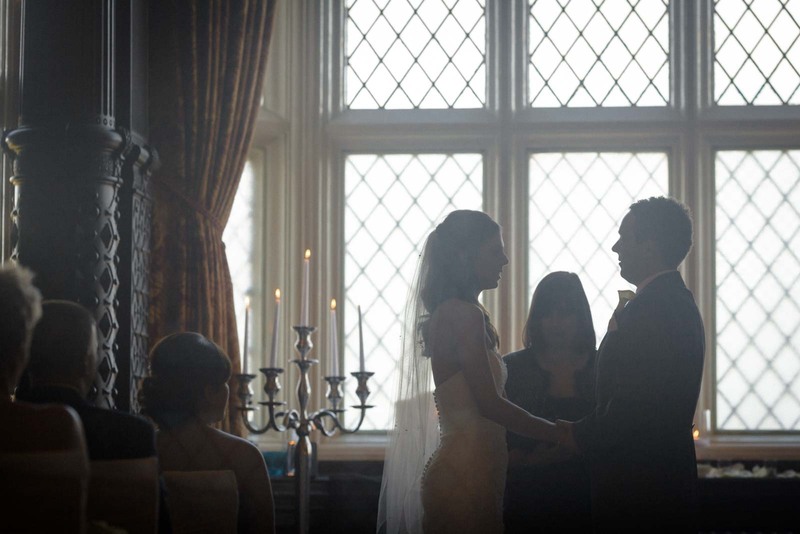 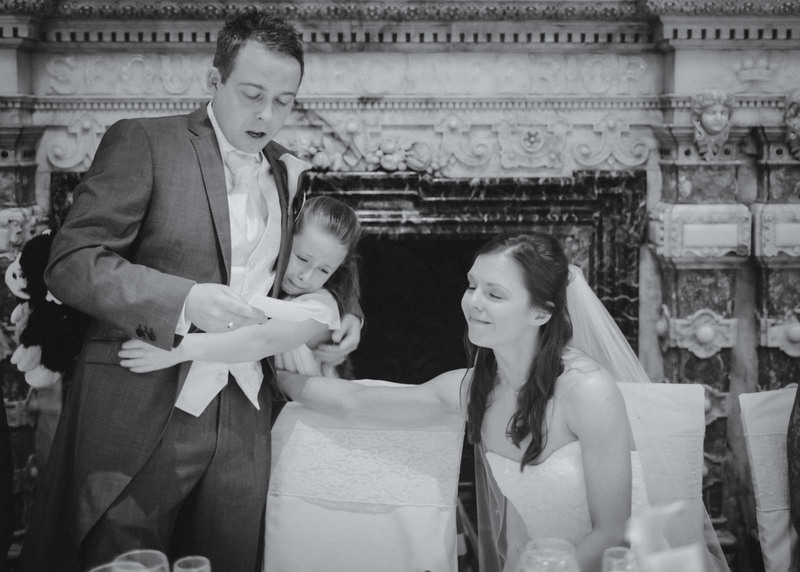 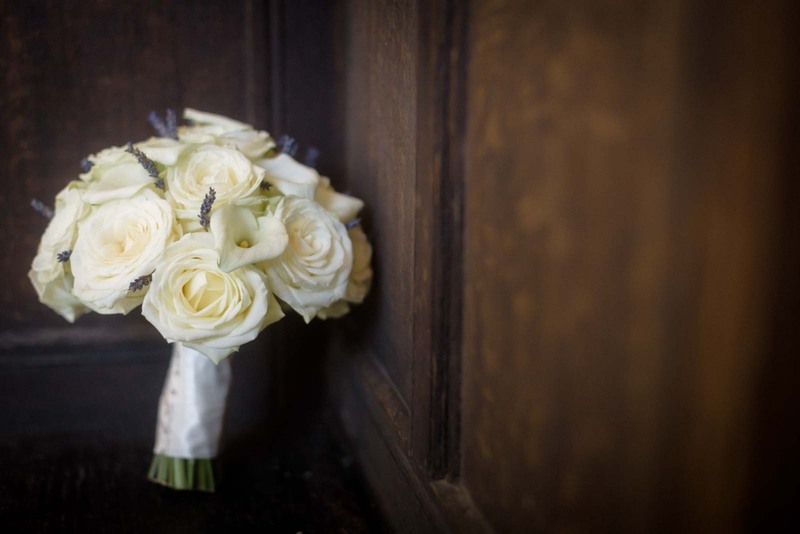 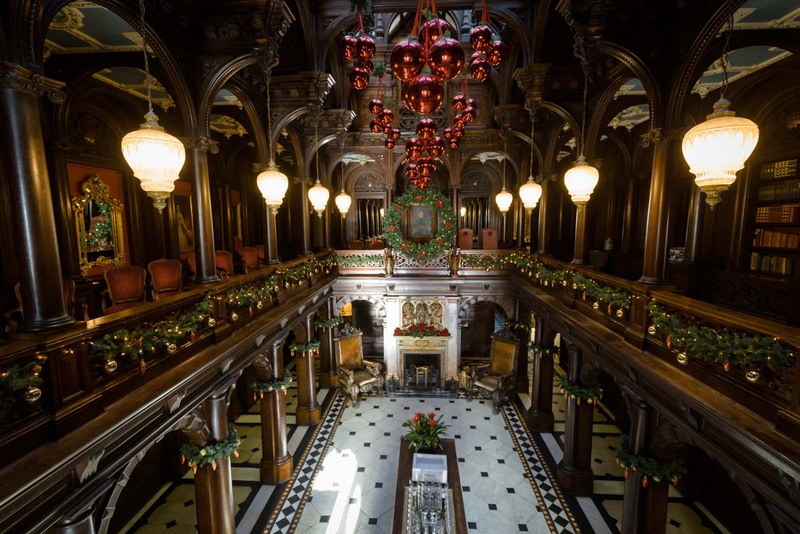 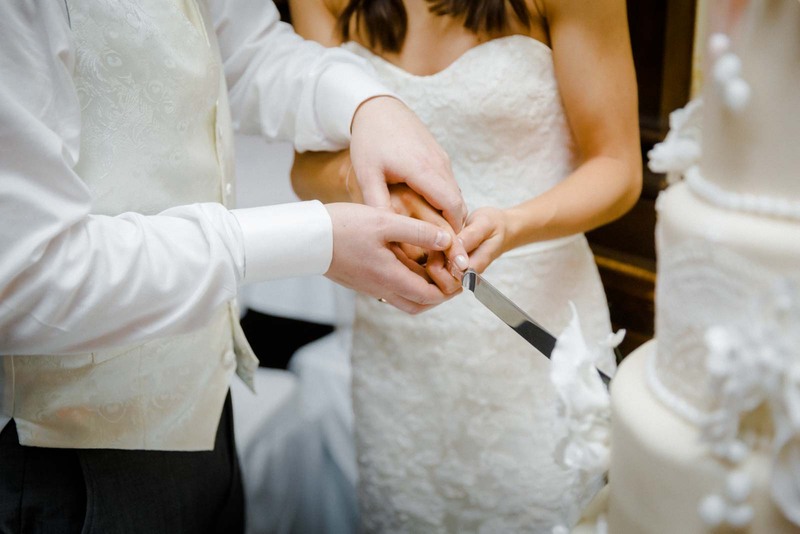 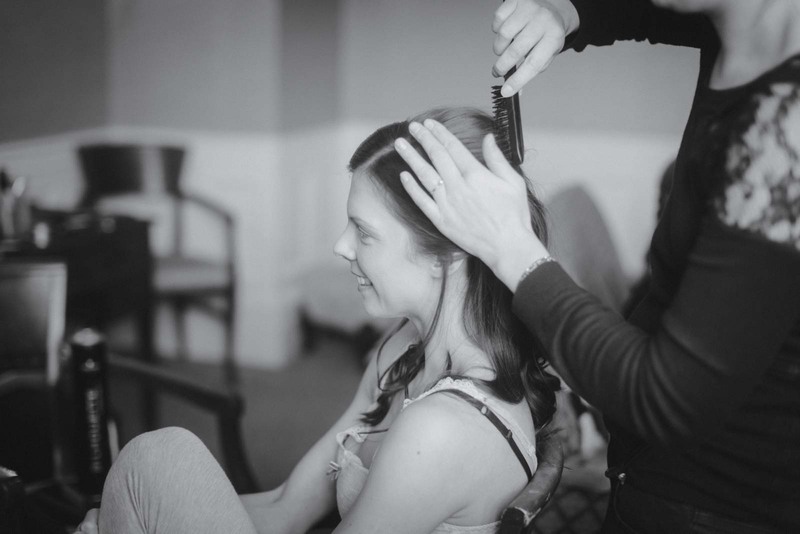 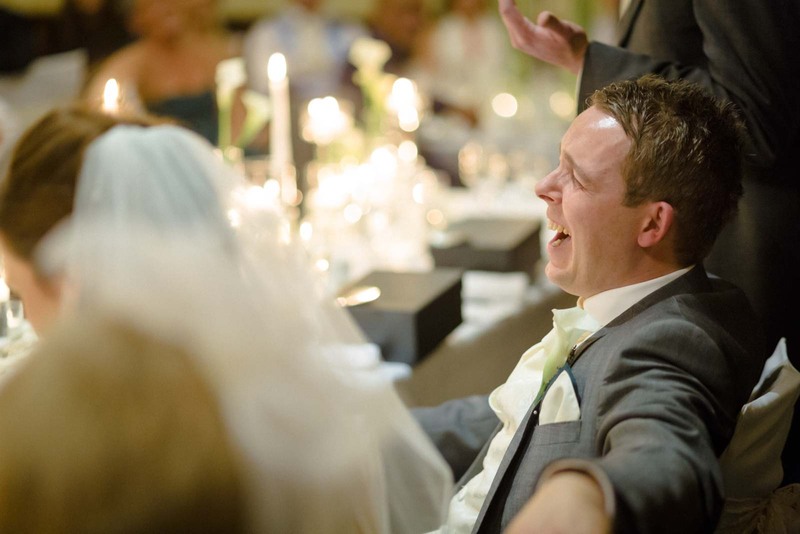 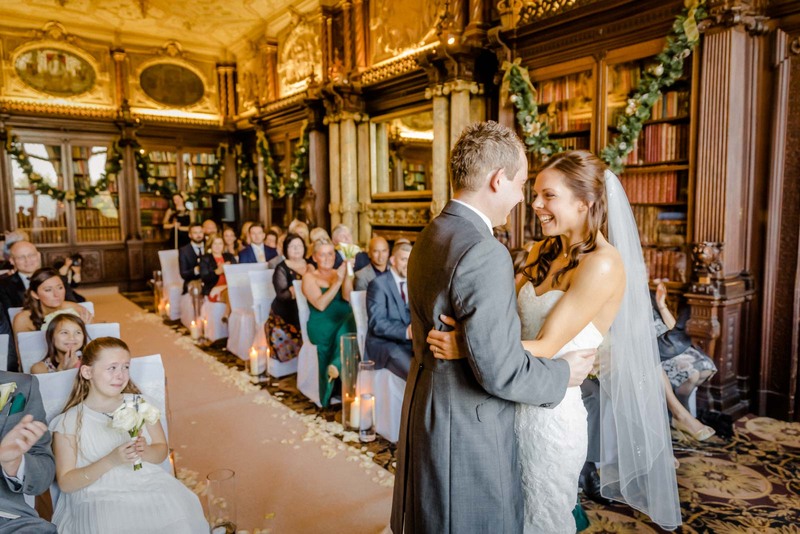 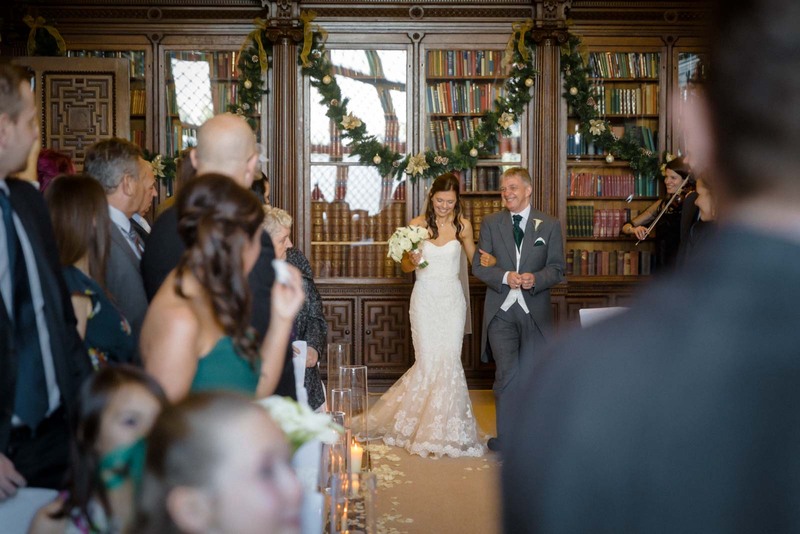 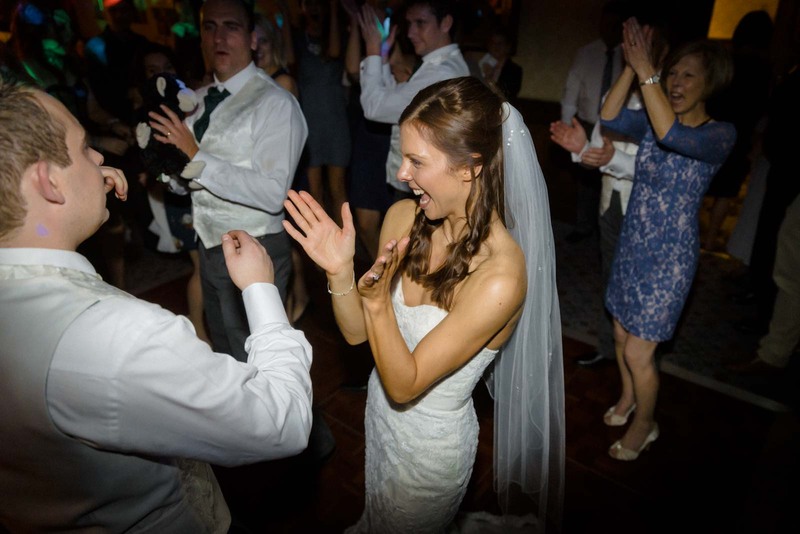 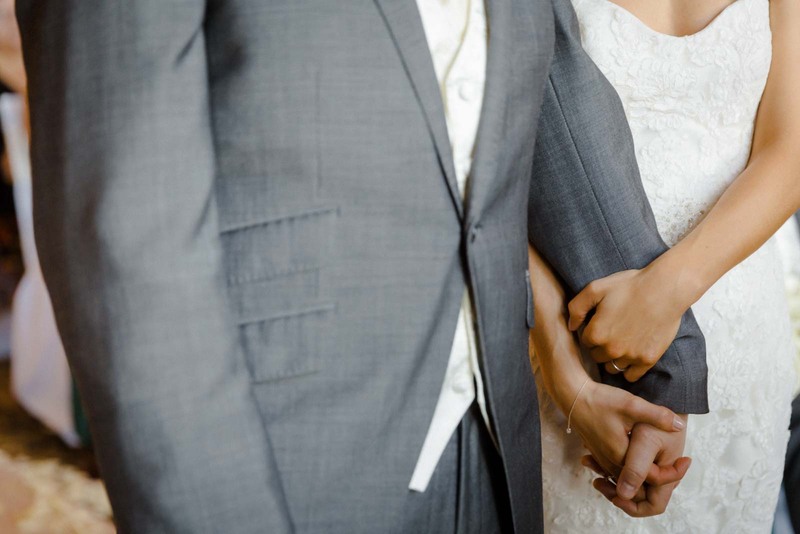 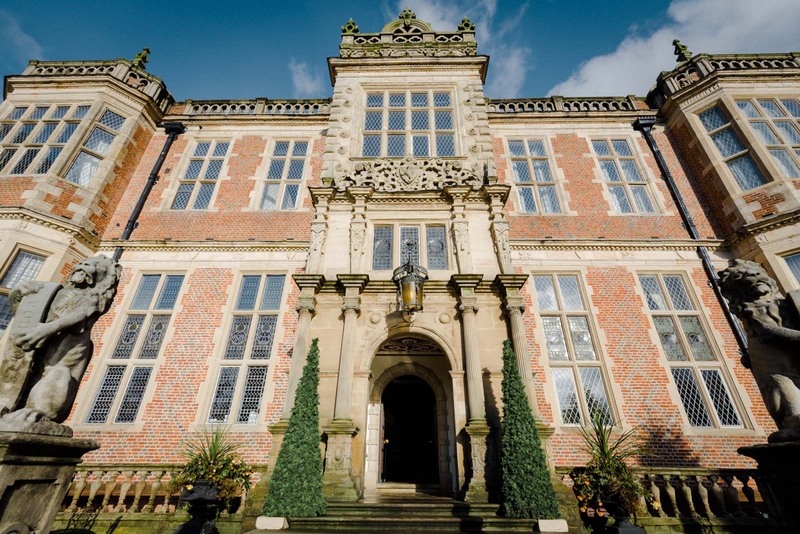 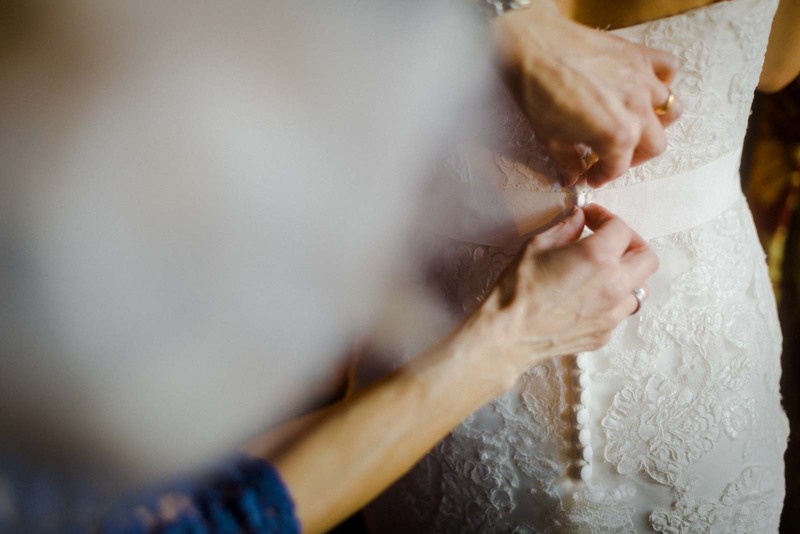 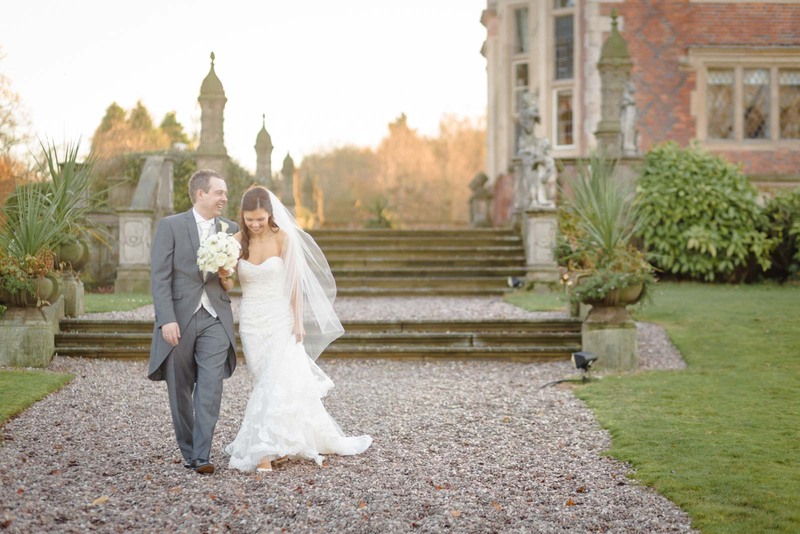 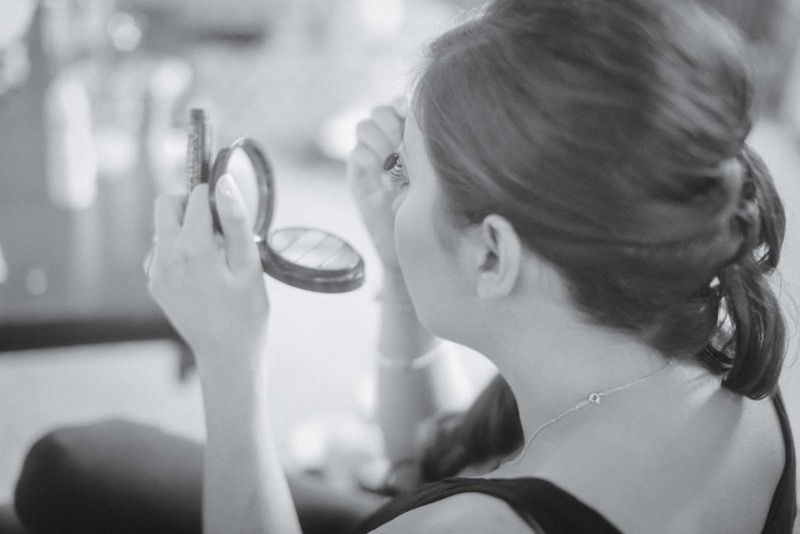 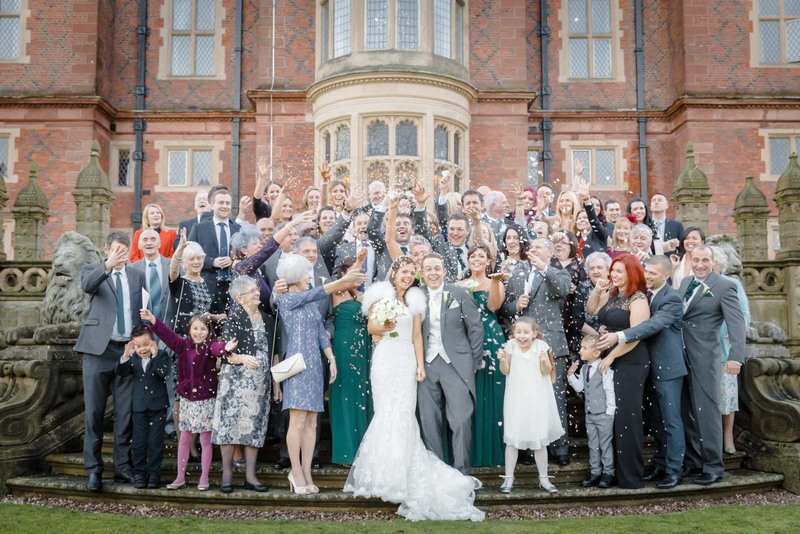 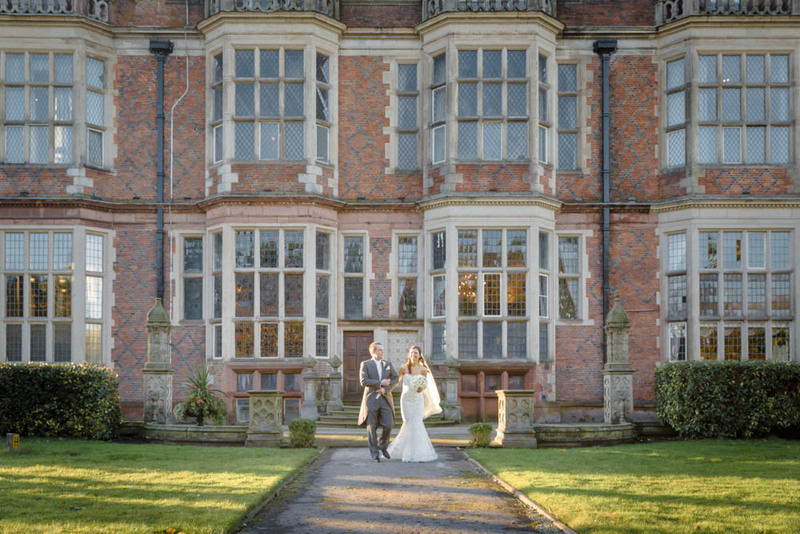 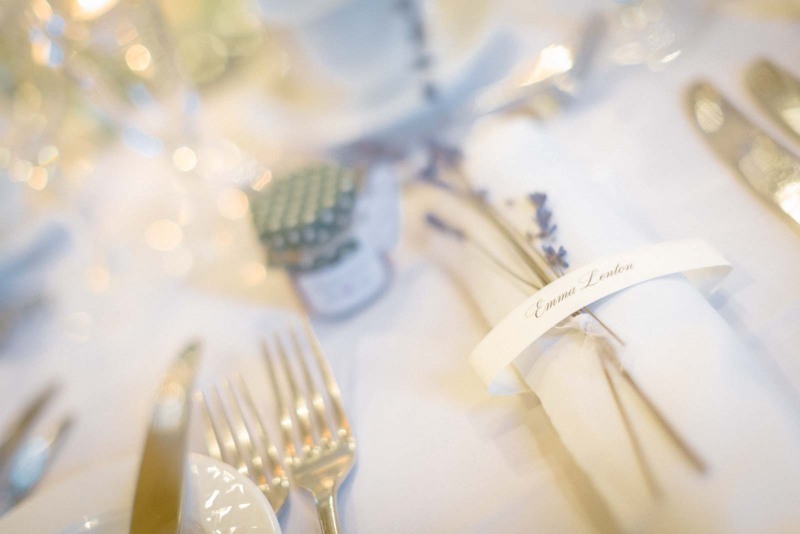 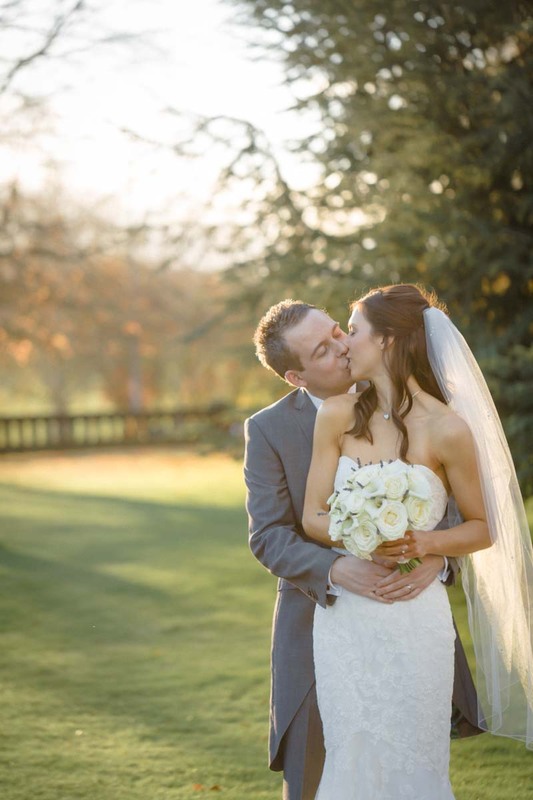 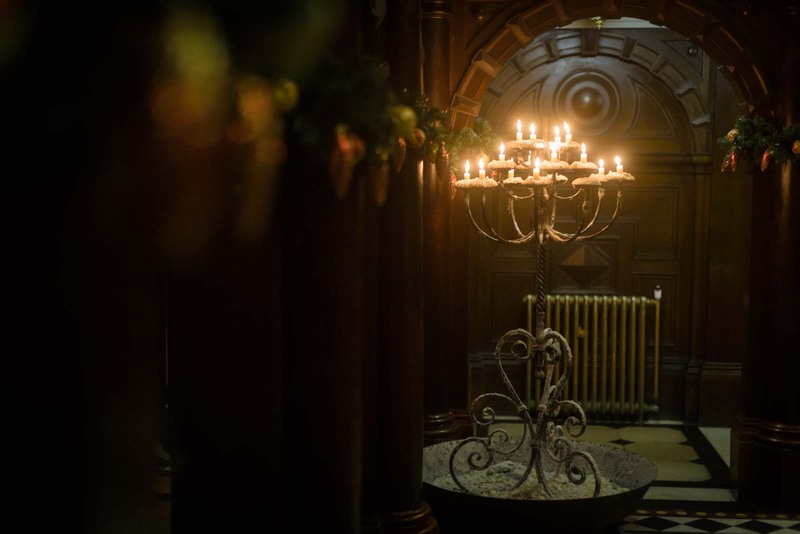 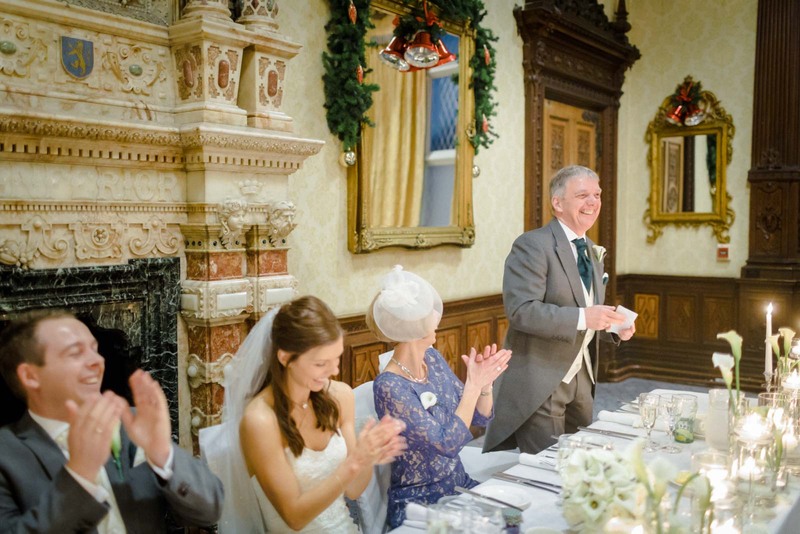 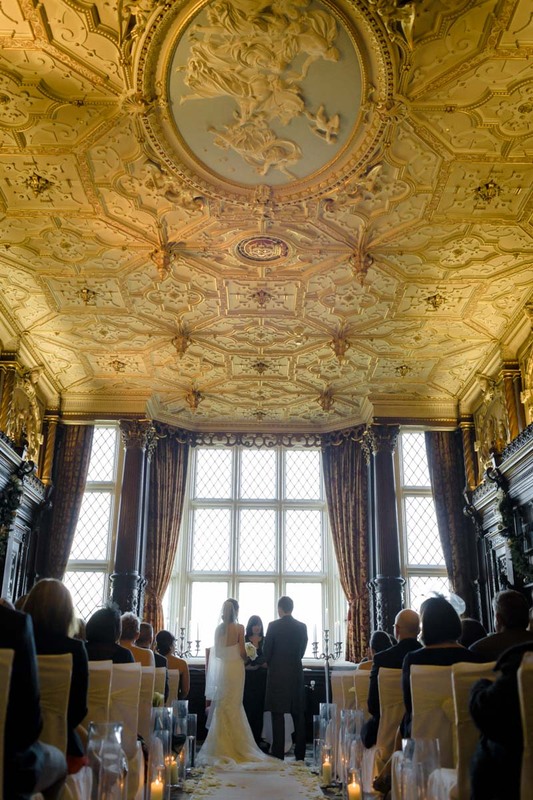 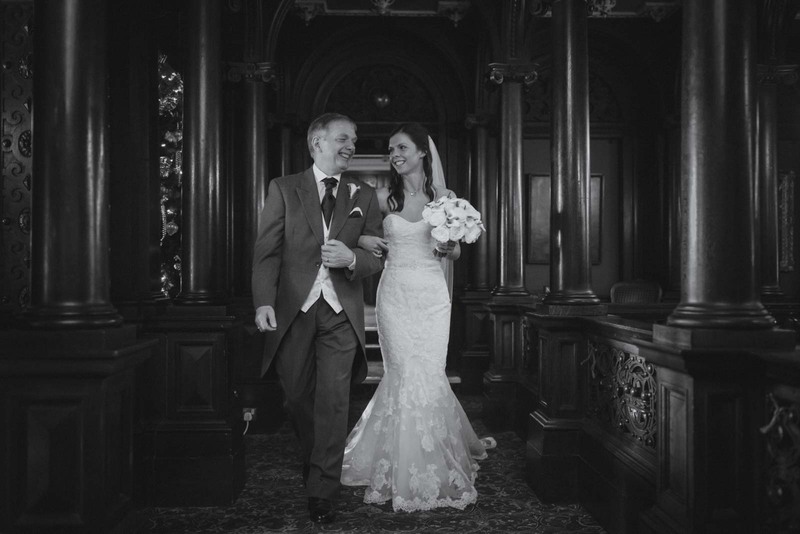 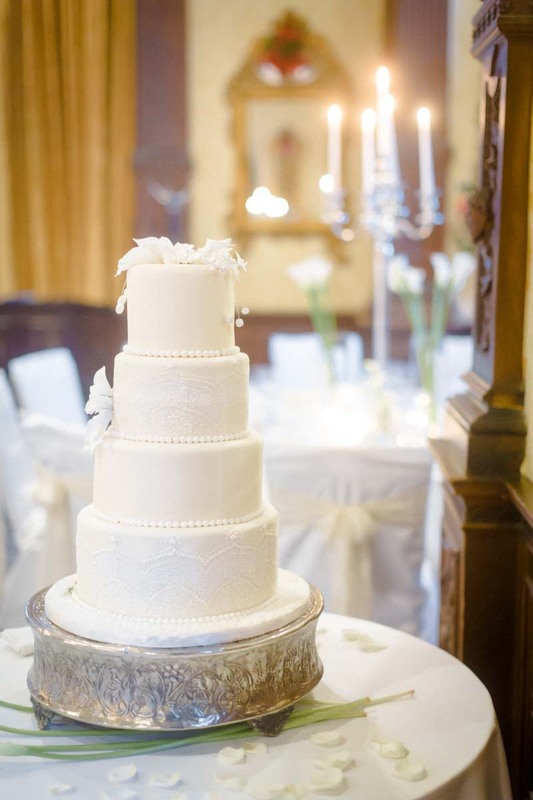 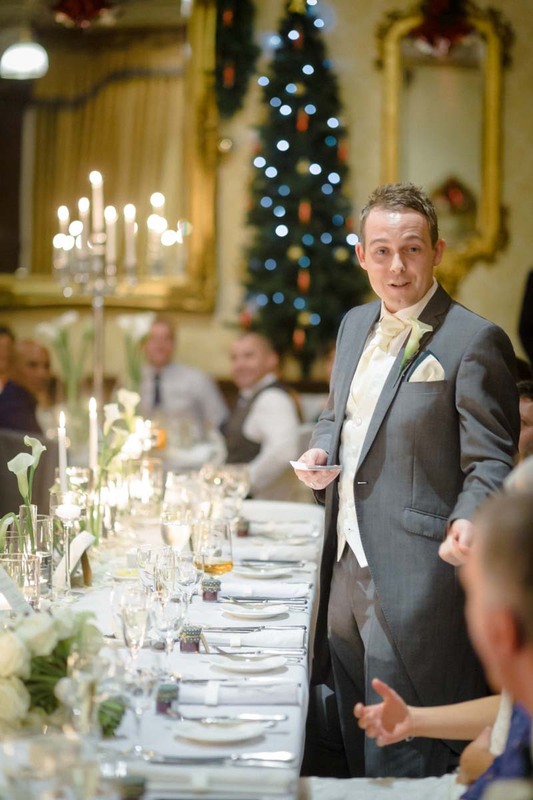 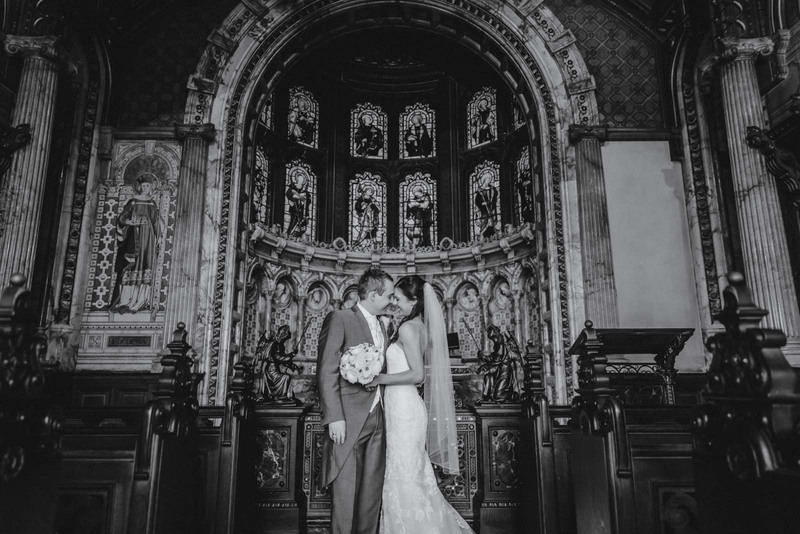 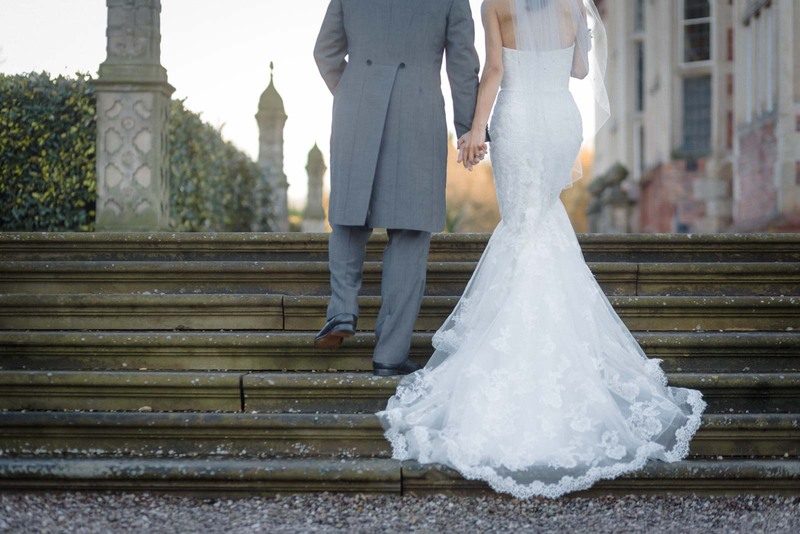 Amy & Jordan chose the incredibly sumptuous Cheshire based Crewe Hall for their wedding. 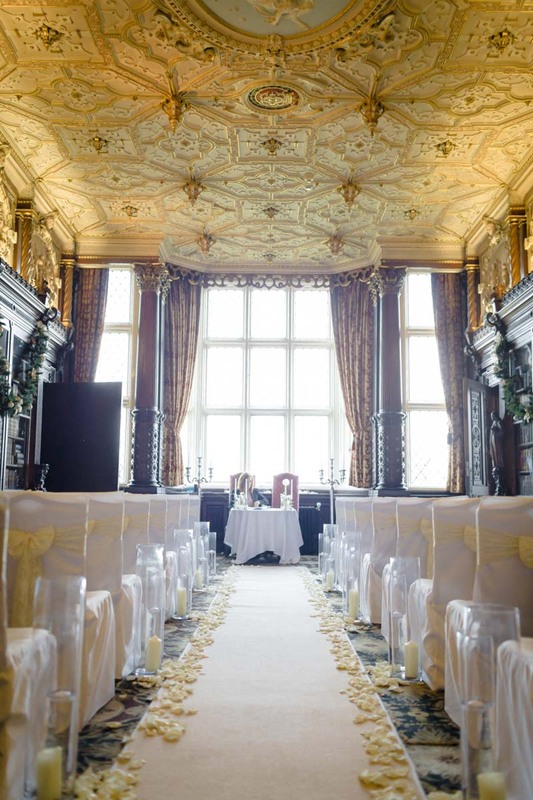 The dark paneling and exceptionally ornate rooms just scream “wedding” to me. 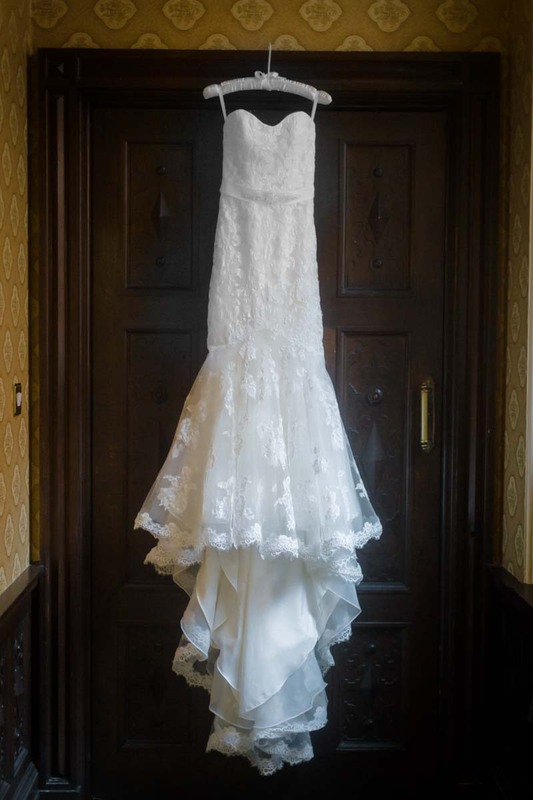 Amy and her bridesmaids prepared in one of the suits while Jordan and the guys welcomed guests and showed them to the top floor, where the ceremony was taking place. 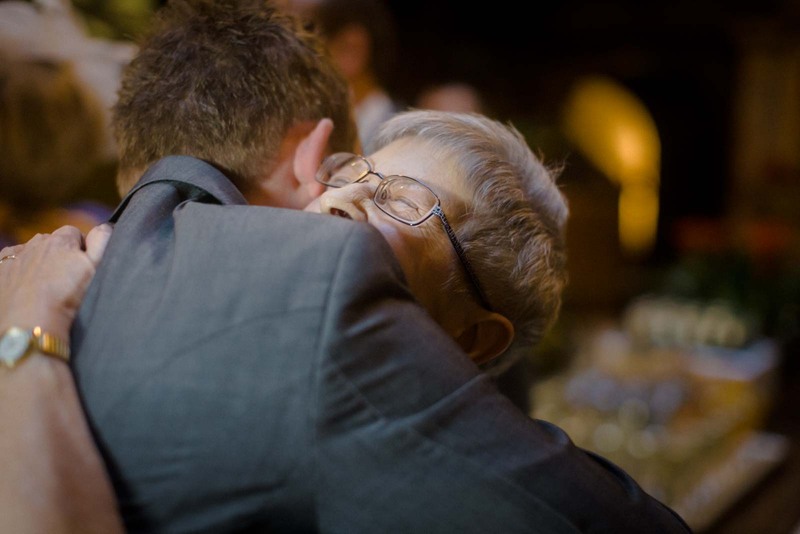 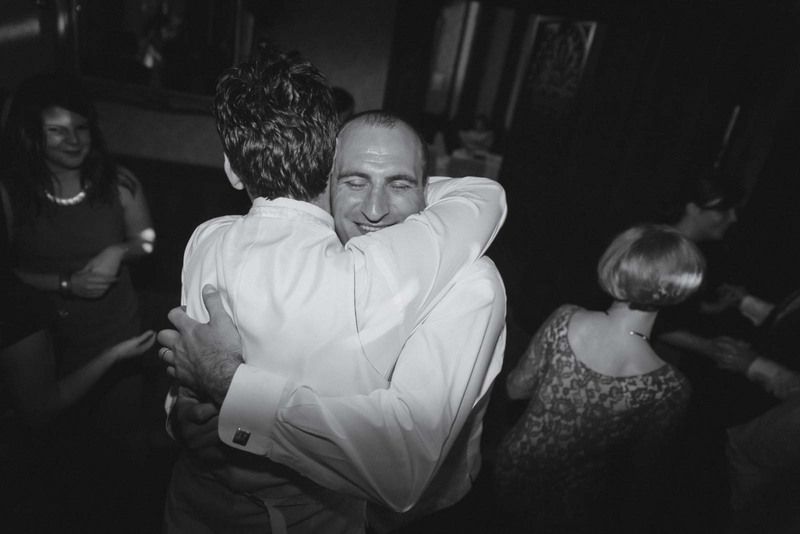 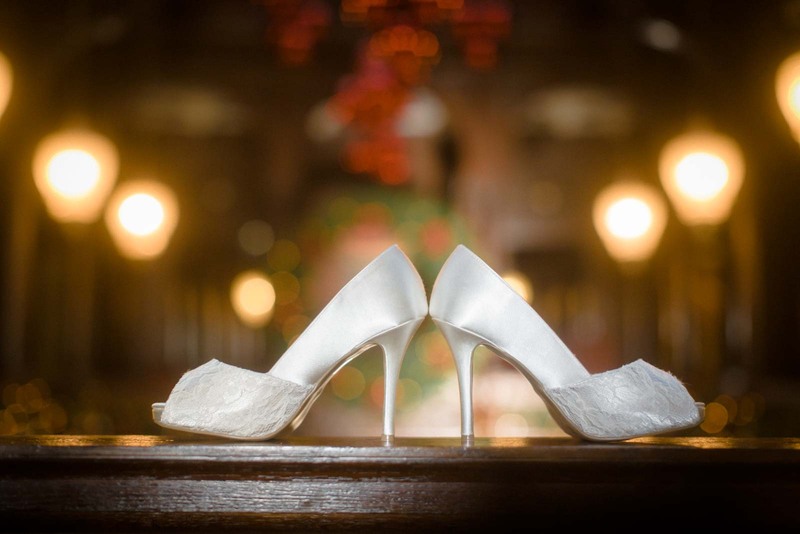 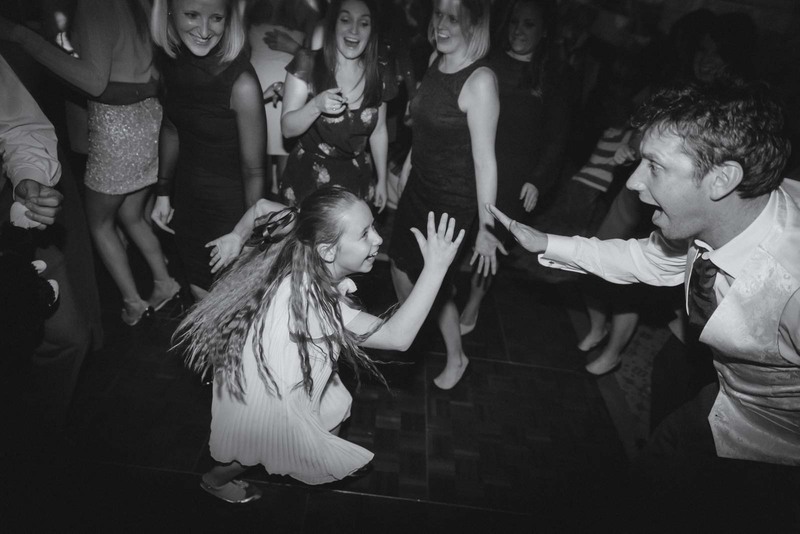 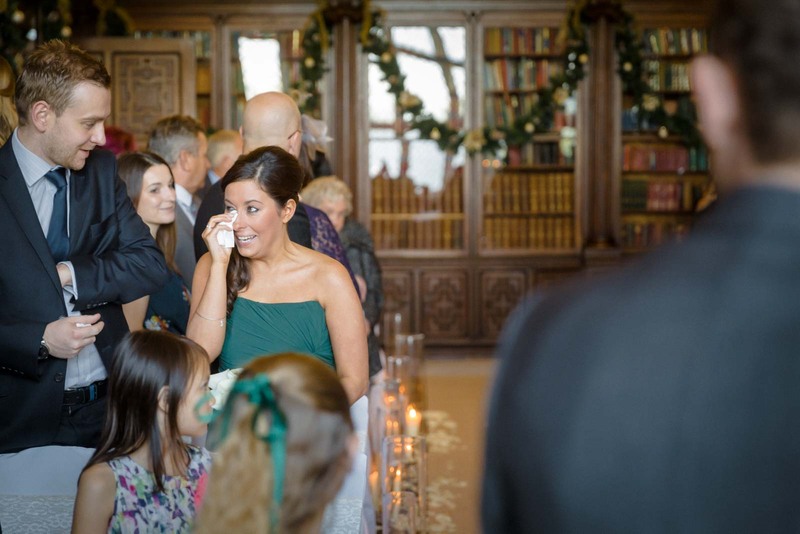 Soon, it was time for the bride and her family and wedding party to make their entrance, and the Amy’s father beamed with price as he walked her down the aisle to a waiting Jordan. 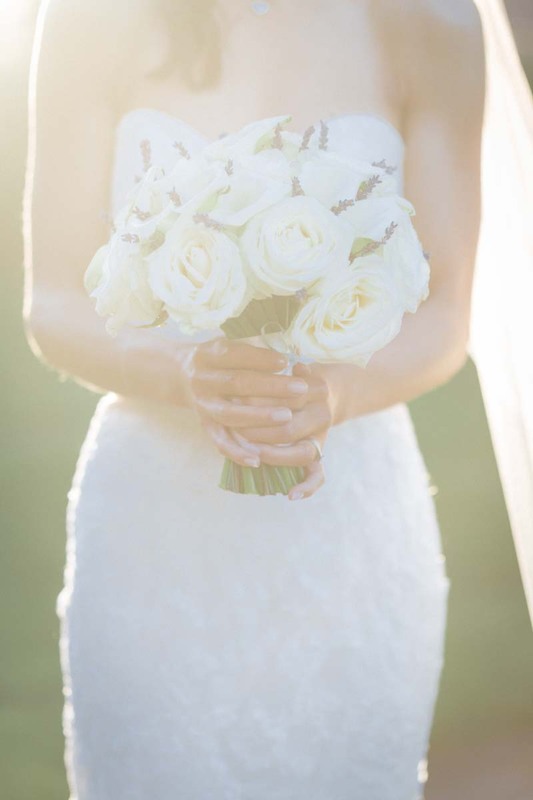 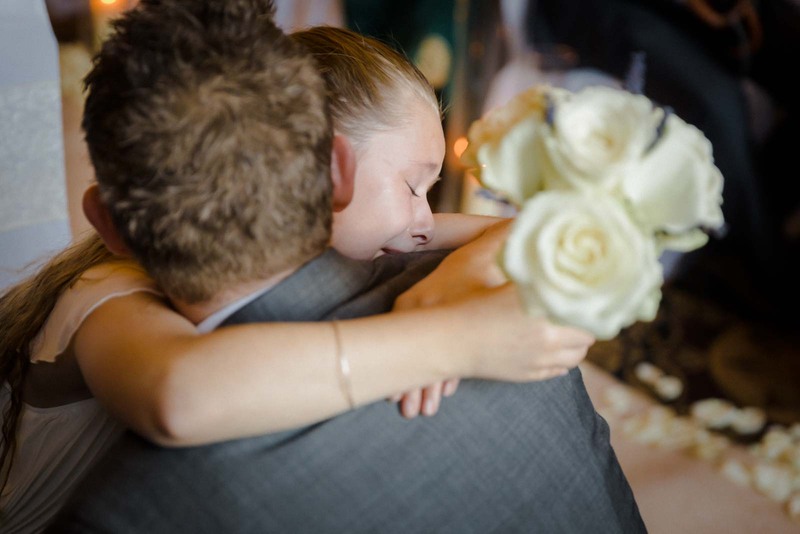 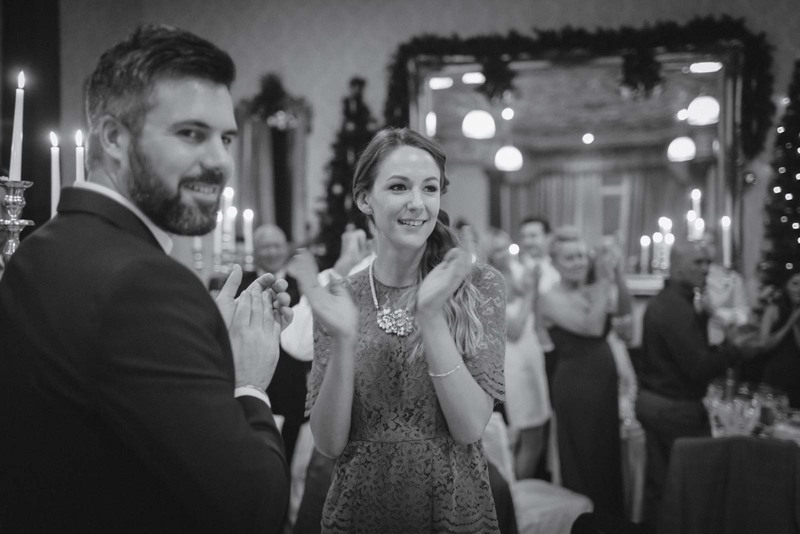 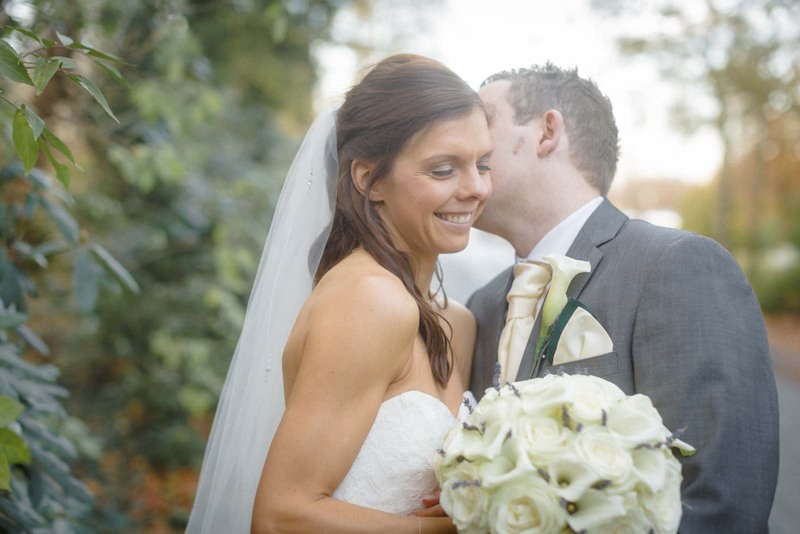 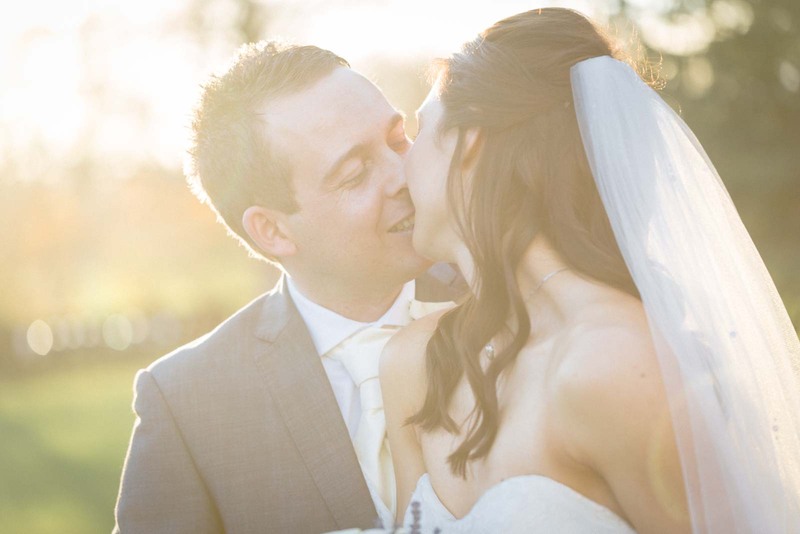 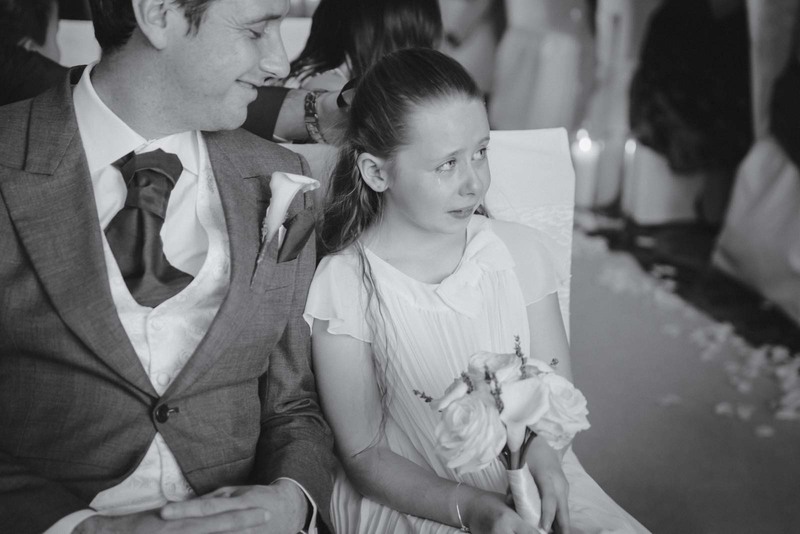 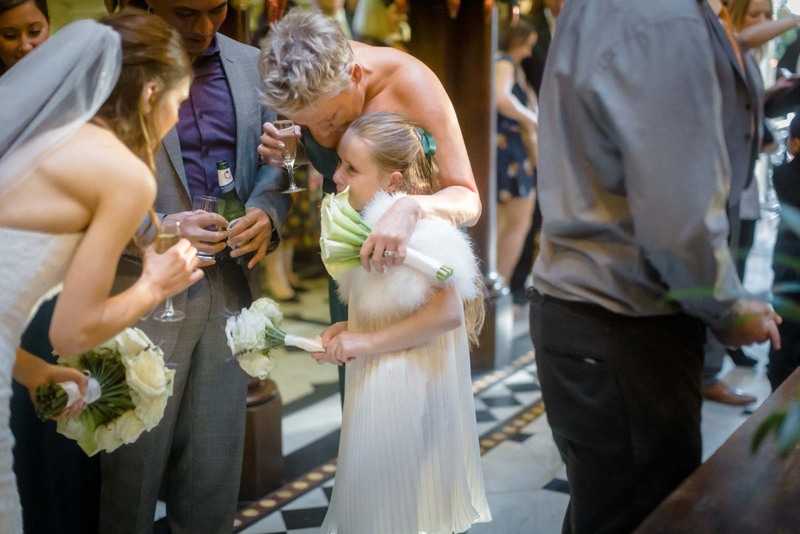 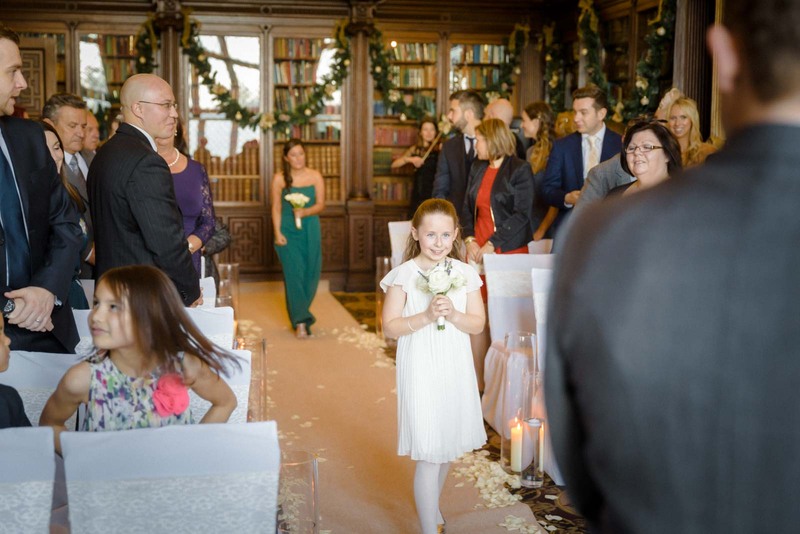 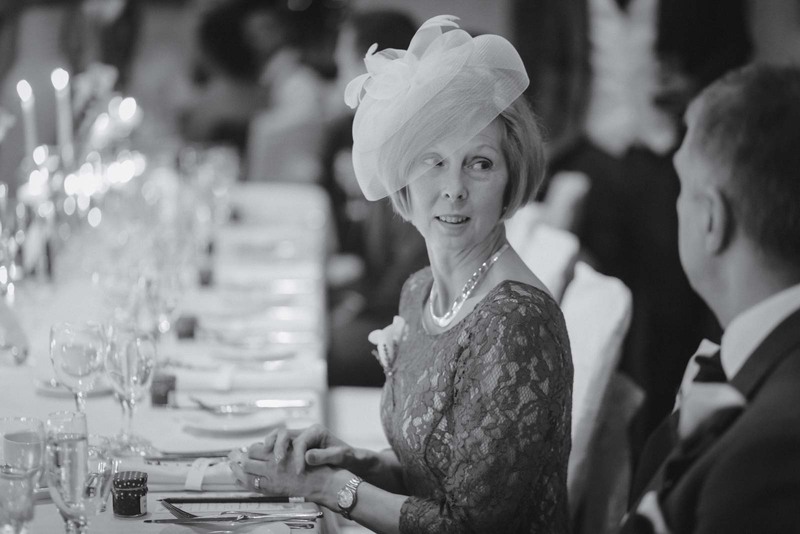 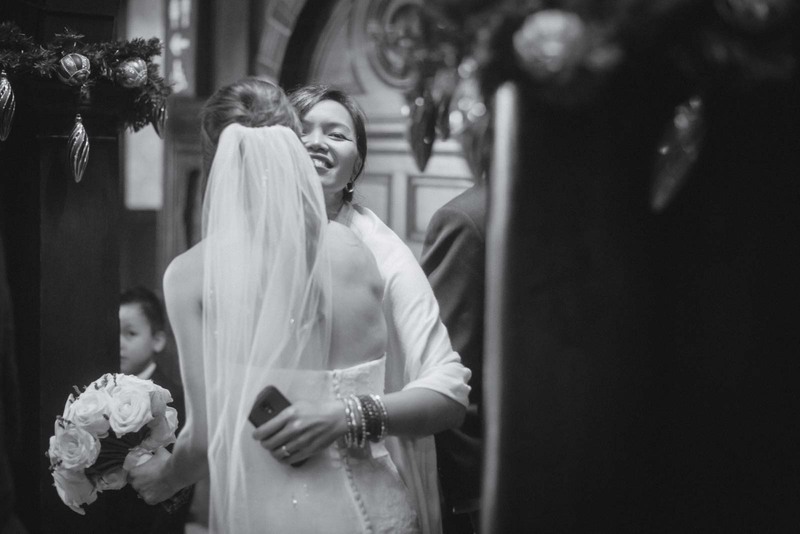 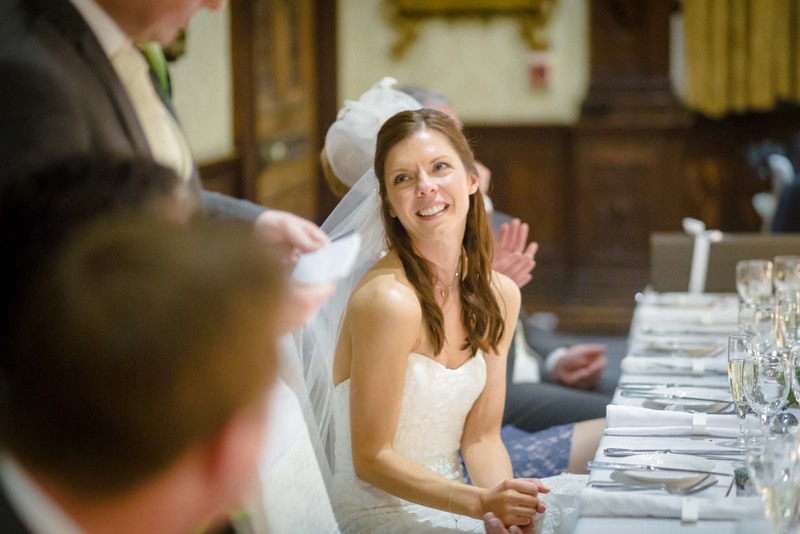 Throughout the ceremony, Jordans daughter struggled to keep tears of happiness from breaking through as the winter sun shone on the couple as they completed the formalities. 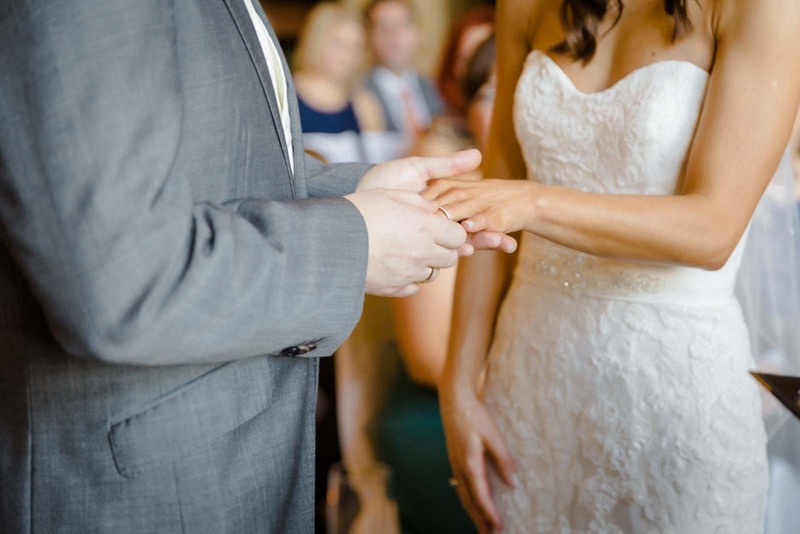 It was a truly beautiful ceremony. 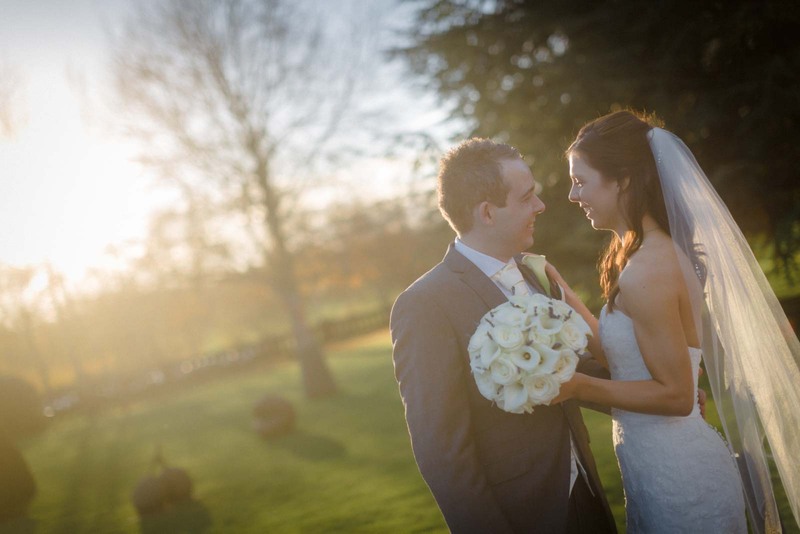 Afterwards, they spent some time downstairs with guests laughing and catching up, but I whisked the couple away to take advantage of the amazing winter light which was lighting Cheshire. 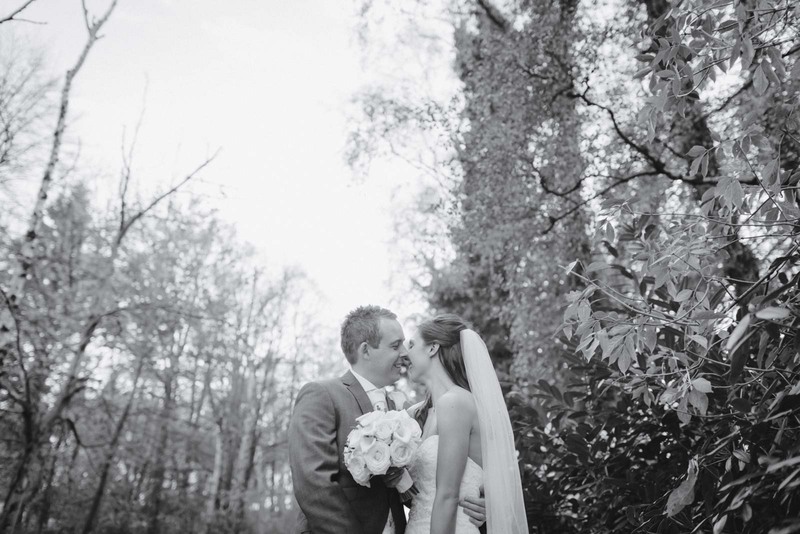 They were fantastic and loving together and it was a pleasure to capture their first time along as man and wife. 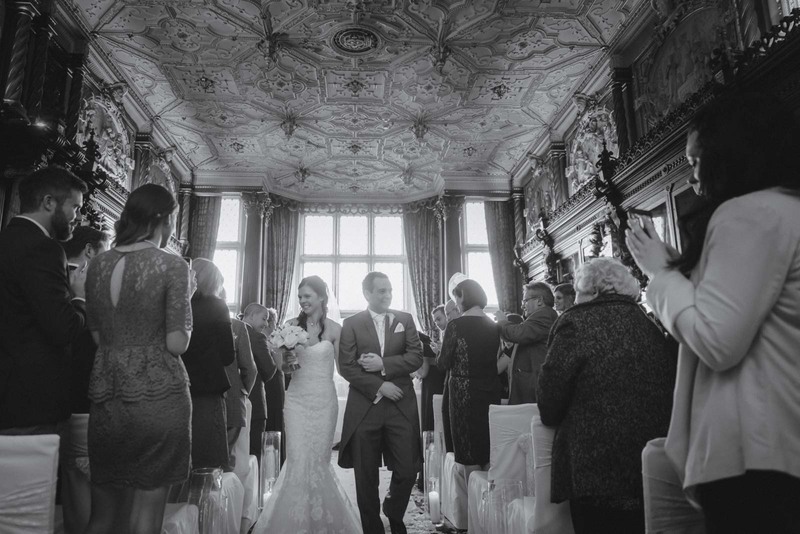 Back inside, the room as ready for their entrance. 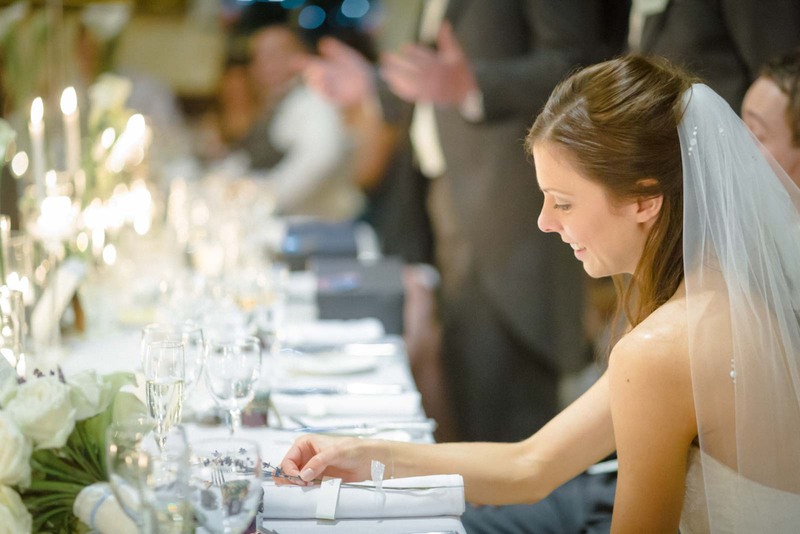 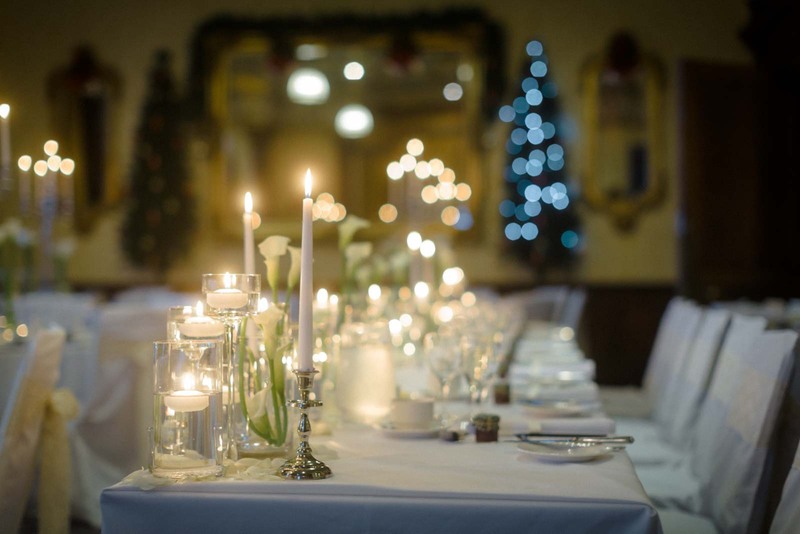 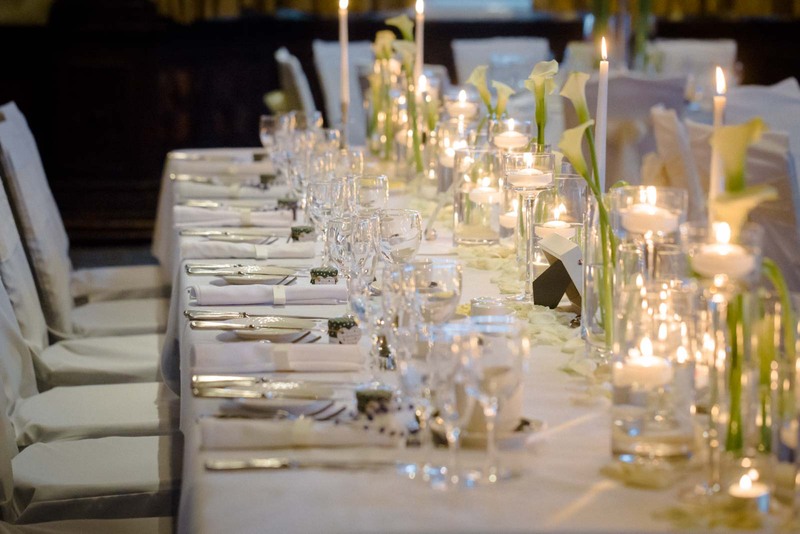 Amy was particularly keen on candles and it looked incredible as the guests found their seats. 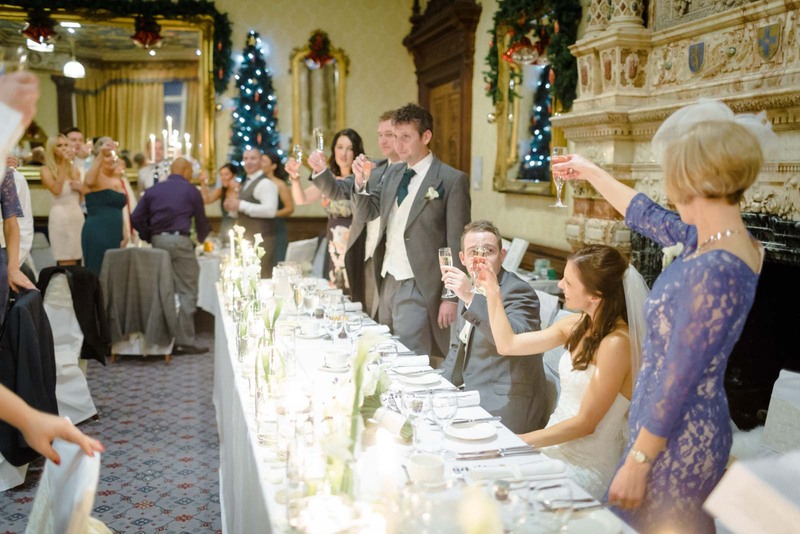 After their wedding breakfast, the guests were treated to a riotous set of speeches before relaxing again until the evening. 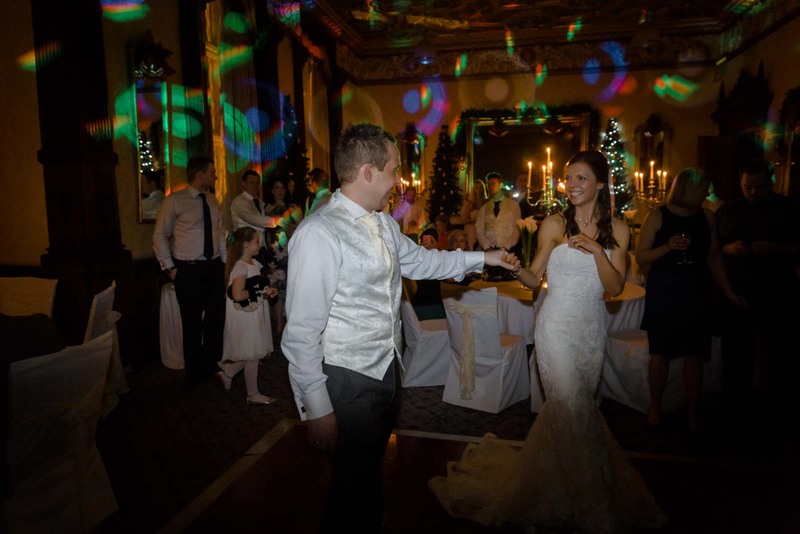 Yet more candles, bright lights from the DJ and a couple happy and in love created the perfect finale with their first dance.